A beautiful but mysterious woman arrives in the castle courtyard one night, as the baron’s replacement to Lord Ricard Wellington’s betrothed. With eyes like emeralds and a smile that could melt even a hardened warrior’s heart, Lady Flora Debenham quickly captures Ricard’s interest. However, she is feisty as well as disobedient and keeps sneaking out of the castle walls. The woods are dangerous and filled with Druids who he believes have killed his parents. Fearing for her safety, he follows her, hoping to learn her secrets. Lady Flora takes her cousin’s place as the handsome Lord Ricard’s betrothed, but it is naught more than a ploy to get close to the Druids who are hiding nearby. Her dying mother reveals to her that her father was a Druid and that she was conceived at the festival of Beltane. The woman’s last wish was for Flora to find her father and return a sacred icon to him. What starts out as nothing but a means to an end turns into an attraction to a man Flora never intended to marry. 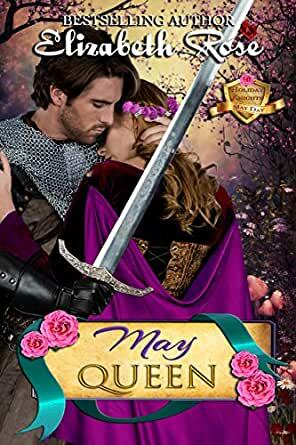 Ricard treats her like a queen, and she starts to fall in love. The only wedge between them is that he has vowed to hunt down and kill the same people she is trying to protect. Will vengeance prevent the seeds of love from blooming?